DRS Ø100 – Ø630 is a manual commissioning damper, at dim. 100 – 315 actuator type CM can be mounted. 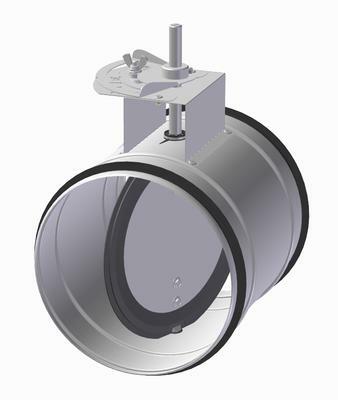 DRS-M Ø400 – Ø 630 is an actuator-controlled commissioning damper. DRS and DRS-M satisfy the EN 1751 requirements for air permeability class 0 and C. DRS-T Ø100 – Ø 630 is a manual commissioning and shut-off damper. 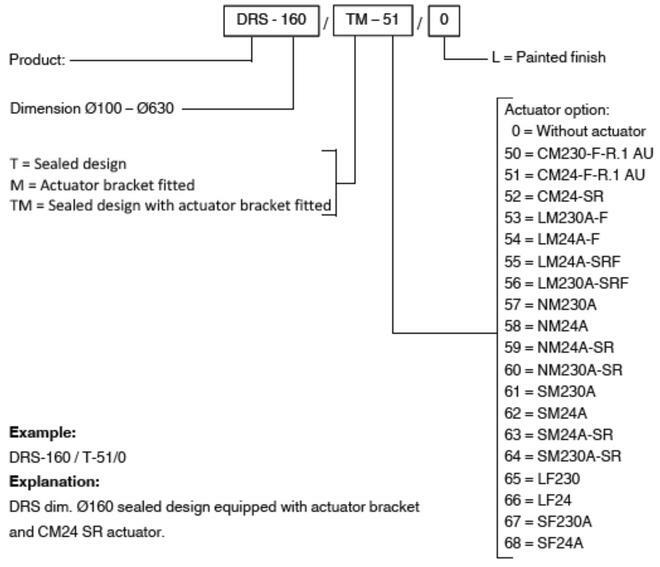 DRS-T-M DRS-T-M Ø100 – Ø 630 is an actuator-controlled commissioning and shut-off damper. DRS-T and DRS-T-M satisfy the EN 1751 requirements for air permeability class 4 and C. The damper's operating temperature is max. 100°C. 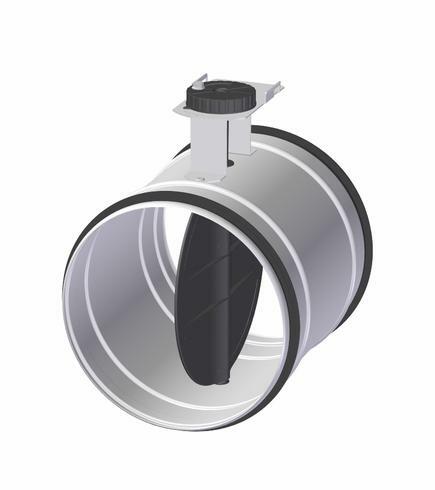 DRS Ø100 – Ø315 has galvanised steel casing, bracket and scale, whereas the damper, support and commissioning solution come in a plastic design. DRS Ø400 – Ø630 features a casing, damper, shaft, bracket and scale in galvanised steel. Support and spacer are in a plastic design. DRS-M Ø400 – Ø630 has galvanised steel casing, damper, shaft and actuator bracket, whereas the support come in a plastic design. DRS-T has galvanised steel casing, damper, bracket and scale. The damper blade is fitted with rubber gasket, and the supports are in a plastic design. DRS-T-M has galvanised steel casing, damper, bracket and shaft. The damper blade is fitted with rubber gasket, and the supports are in a plastic design. All damper types are equipped with EPDM rubber gasket. For noise reduction, straight ducting (min. ØDx2) prior to the damper is advisable. Damper shaft positioning should be as shown in fig.3 and in accordance with bend and consequent change of direction. When installing DRS-M and DRS-T-M, a service clearance as illustrated in fig. 4 is recommended.